Buy Website Hosting worth Rs. 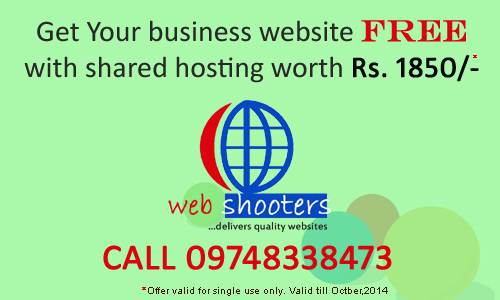 1850/- and get a Brand New Website absolutely Free!! Call 09748338473 to book yours. Hurry Up! offer will be available through October,2014. PreviousWebsite and WebHosting @ Rs. 1850/-. through this October! NextFREE Website! with new Website Hosting Service worth Rs. 1850.